The Hand Grip Exerciser by Adco Marekting is a great custom fitness item that gives you a good grip on your promotional campaign. This resistive metal exerciser with a grip tension rating of 33 lbs. comes with soft EVA grips for comfort while it helps strengthen hand muscles. 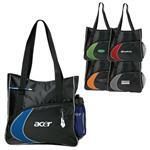 Customize it with your logo or design to help promote your fitness club or as a health fair giveaway. 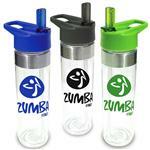 Give your clients and employees the gift of strength with our promotional hand grip exercisers. Production Times Available: 5 working days. 24 HOUR RUSH AVAILABLE - PLEASE INQUIRE.